My internship has come to an end and I struggle to find the words to explain how crazy, exciting, challenging and exhilarating these past 10 weeks have been. I have worked until 1 a.m. and partied until 8 a.m., gluttonized on the verge of puking, shopped until I dropped, made more friends than I thought was possible and fallen head over heels in love with this city. My final presentation - a 67-page monster, meticulously designed and custom animated - received a fantastic response from everyone at the office and is ingrained in my memory as one of my proudest achievements. 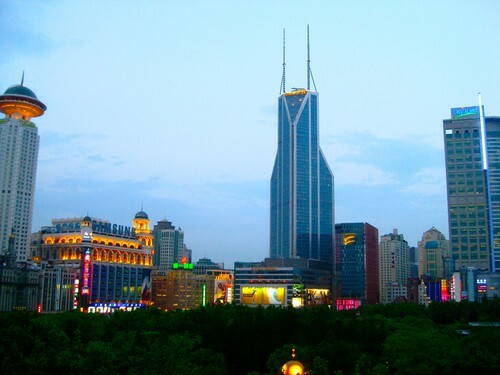 I feel nothing but utter gratefulness and a bittersweet separation anxiety towards Shanghai and Oriflame for this wonderful summer. I won't say goodbye; I'll just say see you soon! 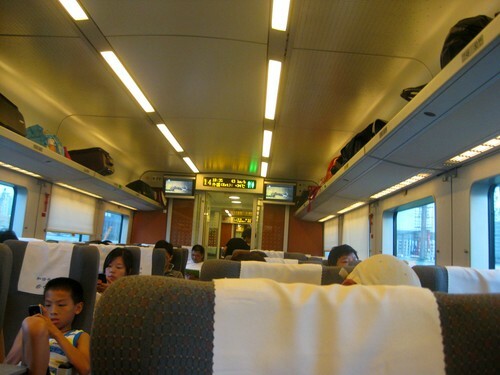 We took the express train to Ningbo which took around three hours. 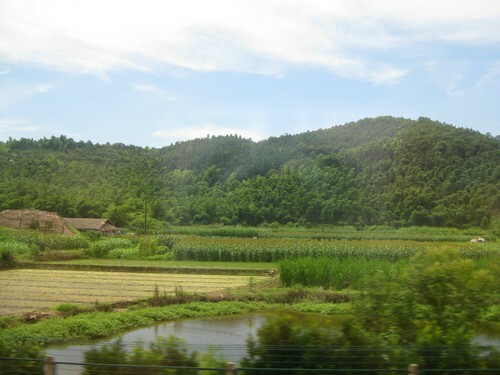 Thank God for air-conditioned first-class carriages! 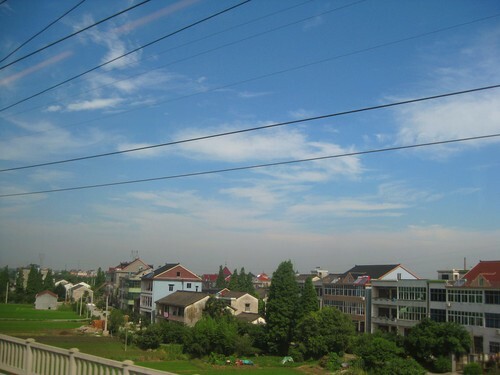 It was a lovely day but hot as hell, so we nearly fainted when we got off the train. Two of our Leaders picked us up in a shiny BMW and drove us around town for a while. The Leader's Meeting was hosted in a downtown hotel, and consisted of new product presentations and inspiring speeches from our new Leaders. On the way home after the meeting, Mikaela and I even had time for some sight-seeing! One taxi ride later and we were back at the train station with an hour and a half to departure - leaving plenty of room to eat McFlurry's and chitchat. 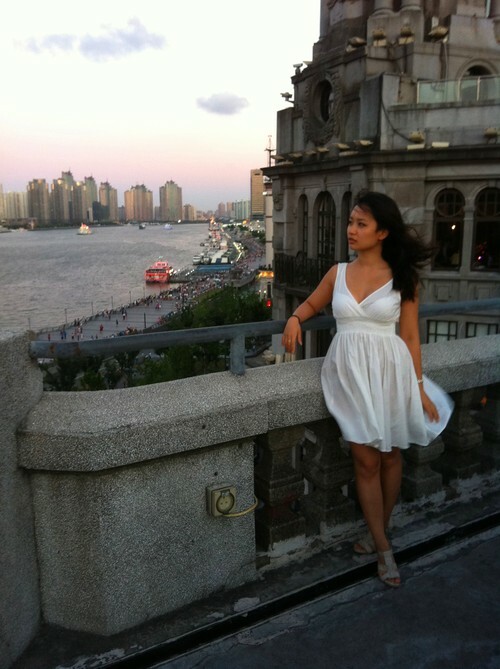 We finally got back to Shanghai around 10 pm, exhausted but content. My personal interviews resulted in some surprising insights, which have been very useful for my summer project. 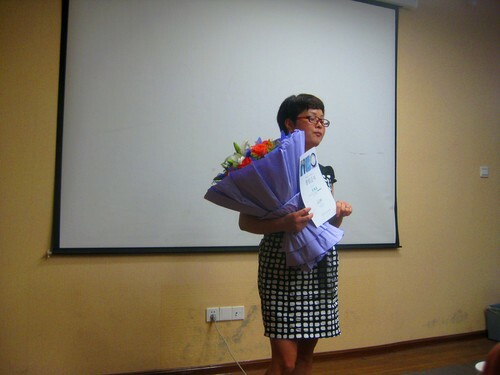 Thank you for this excellent weekend, Oriflame! Next time, I'll show you what it looks like when me and my colleagues hit the bars for a Ladies Night. Stay tuned! 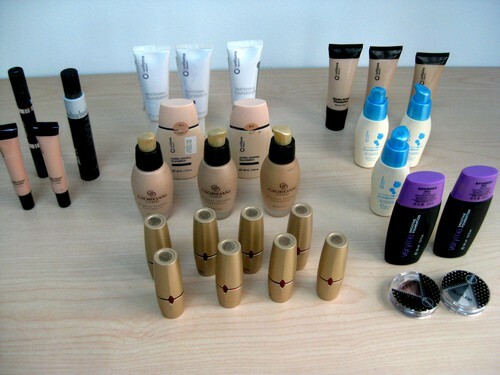 In the meantime, let me introduce some of Oriflame's products to you! I participated in a product training session last week where I got familiarized with our product portfolio, and even bought some of them myself. Two of our popular facial products: Optimals Oxygen Boost face mask that rejuvenates dull, polluted skin (perfect for China!) 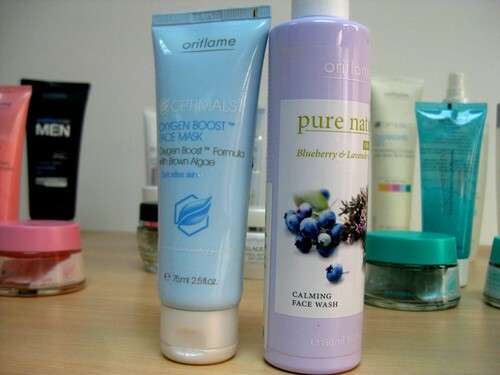 and Pure Nature face wash with Blueberry & Lavender extract that smells like a little whiff of heaven. 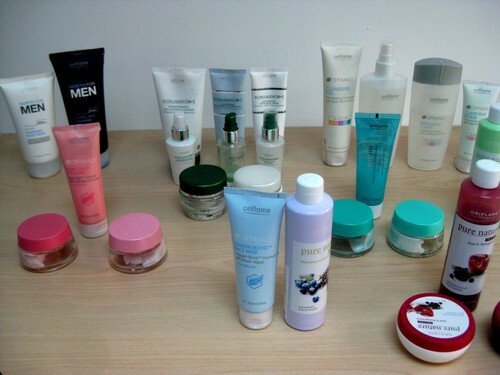 Above you can see many of our skin care brands, suited to different age groups. When it comes to color cosmetics, there are plenty of different brands as well, such as Very Me (youth) and Giordani Gold (mature). 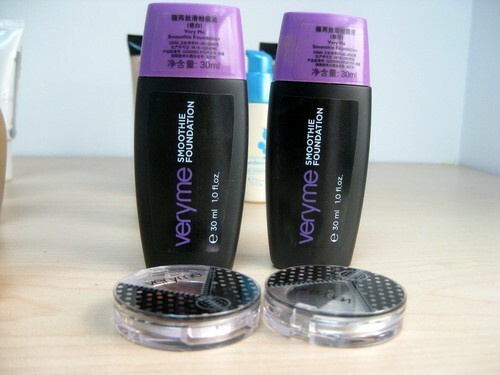 The Very Me products have a very youthful, fresh and playful design - my favorites are the eye shadows with the cute zipper covers. 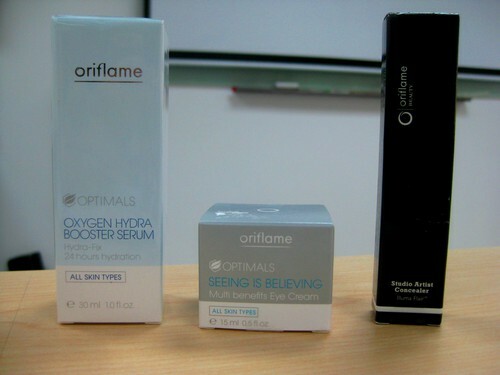 ... And finally, the products that I purchased for myself: our absolute bestseller Optimals Oxygen Hydra Boost Serum (leaves your skin feeling moisturized and fresh), Optimals Seeing is Believing Eye Cream (reduces puffiness and dark circles - works wonders!) and last but not least; our Studio Artist Concealer, my new best friend. Now I'm heading off to an action-packed Friday night and an exciting weekend! God, I hope the business trip goes well... I'll keep you posted! 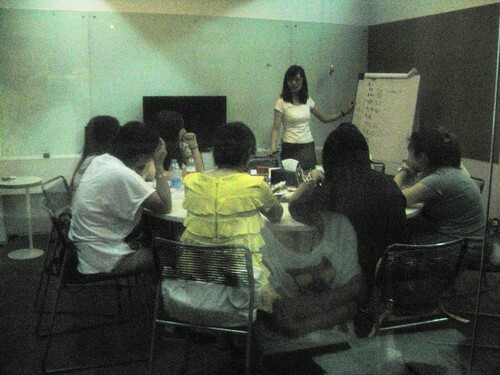 Last week I got to listen in on a focus group discussion regarding usage and attitude towards facial care among the young, female, semi-selective segment in China. It was exciting, as we got to observe them through a two-way mirror, like in a CSI-episode. My main take-away from the session was that young Shanghainese girls are a very difficult group to impress: they are decisive in brand preferences, knowledgeable about skin care products and absolutely ruthless in their critique. A very insightful afternoon spent with our Product Manager Serena and Marketing Assistant Doris! 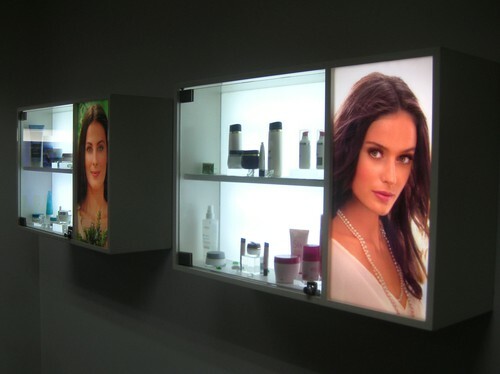 ... and brightly lit product displays that always gives you cravings! 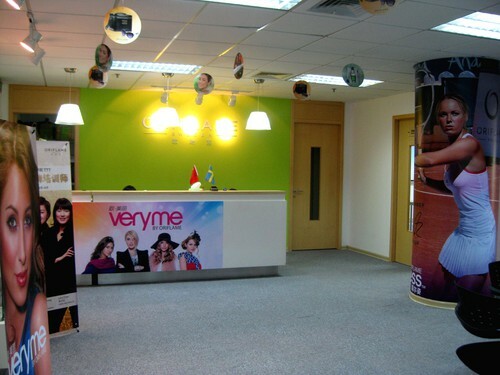 The rest of the office is located on the 9th floor, consisting of open-plan offices and cubicles. Last week me and my sweet colleague Grace went to a flower store on our lunch break to buy flowers for our cubicles, so now I have a pretty orchid sitting on my desk! Last week was full of sales training where I learnt about our recriutment processes and products, some of which I have ordered. I'll show you them in a later post - now I have to run off for a farewell dinner at Lost Heaven! Our Managing Director Pierre, Operations Director Jason and MD Assistant Mikaela each held interesting presentations about Oriflame China, its unique challenges and what sets it apart from other markets. After the presentations, we got to try out some sample products and received goodie bags - that's how you know you're working for an awesome company! 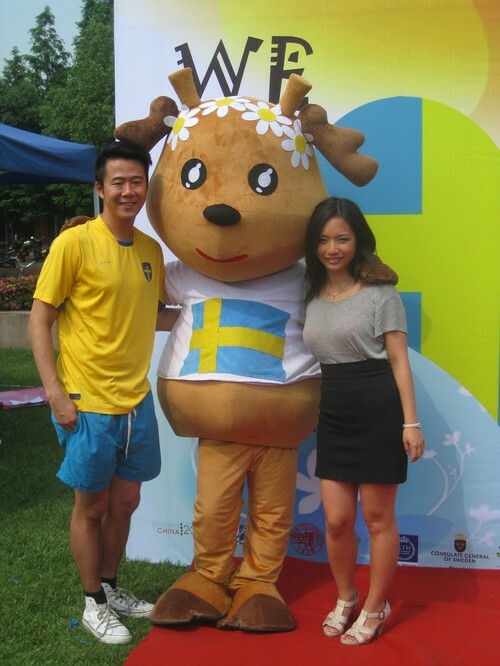 ... the Swedes and Chinese students dancing around the Swedish Maypole! It was hilarious. Me and my colleague Crystal hid under one of the tents, since the sun was blazing hot this afternoon and the heat was unbearable. I met my friend Jacky, who is the Manager of China Week. We had an awesome time together, catching up and fooling people that we were siblings. A fantastic, fun and relaxing afternoon! 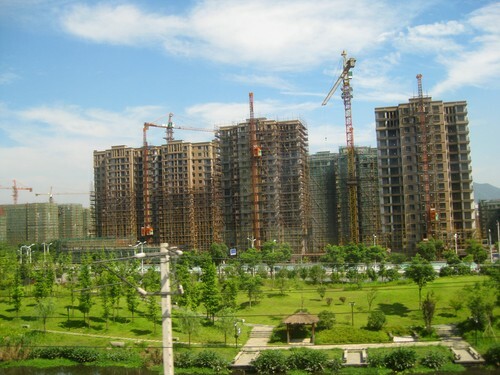 Thank you Project China! 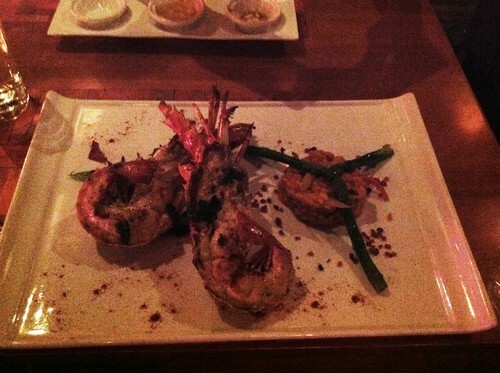 Grilled lobster with parmesan cheese risotto and spring vegetables from Brick, a Mediterranean restaurant and wine lounge on Sinan Road. The lobster is so fresh that it literally melts in your mouth. 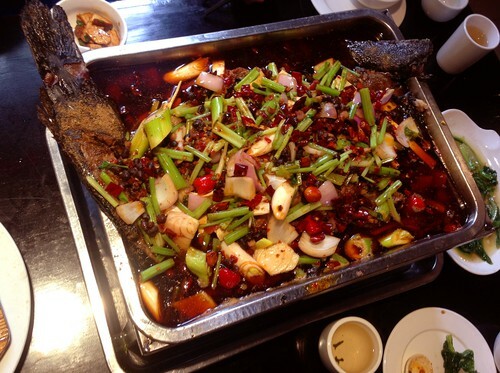 Huge, cooked spicy fish on a backstreet restaurant that my colleagues took me to. The entire restaurant was steaming because of the spicy flavors of the dishes and all the patrons were sweating while they were eating - a very genuine Chinese eating experience. 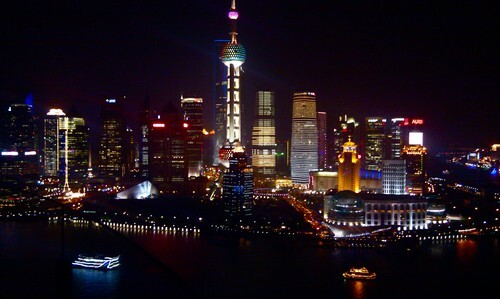 This is my fifth day in Shanghai but it already feels like I've been here for two months! 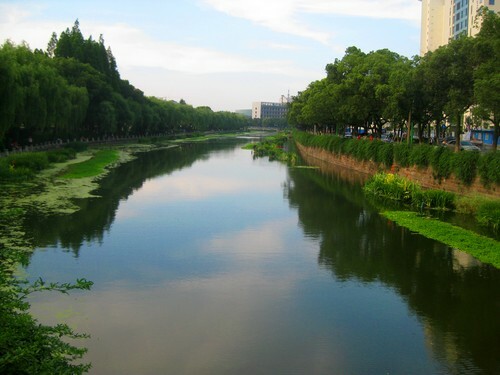 The city is so easy to feel at home in due to the Western lifestyle that permeates it; H&M and Starbucks can be found everywhere and the nightclubs have an overabundance of Western party animals. 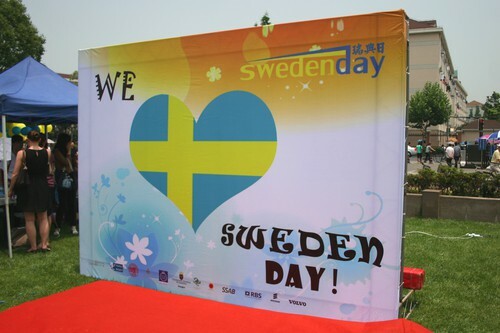 Being a Chinese-Swede myself, I feel that I can appreciate both aspects of the city: the noisy, unruly Chinese culture and the sophisticated, rule-abiding Western culture. 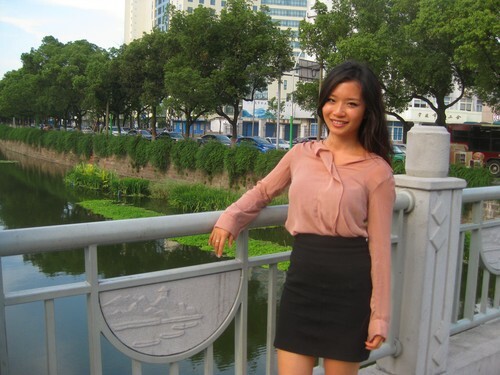 Hello everyone!I'm Yingying, the summer intern at Oriflame's Shanghai office. I will be blogging about my experiences during my 10 week stay here. Today was my first day at the office and it was packed with activities; joining a student delegation from SSE and KTH, lunch with my lovely colleague Mikaela, introduction to the office, meeting with the boss and thousands of presentations to read. 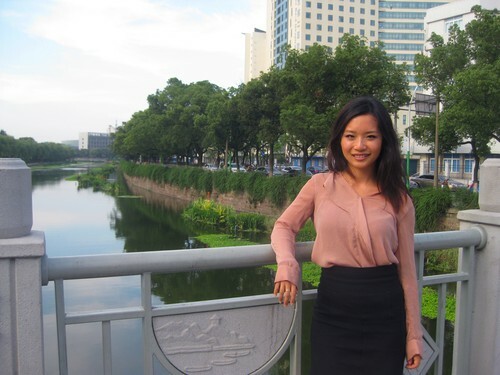 The market in China is unique in terms of consumer behavior, especially in the area that I will be specializing in: online marketing. I'm looking forward to an exciting summer in my favorite city in the world!